Hot-cross buns, "colomba" cake, chocolate eggs and more: will Easter be the sweetest festival of the year? 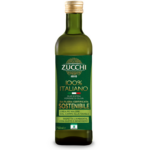 To make certain, try these ring biscuits with Zucchi 100% Italian Sustainable EVO oil. Sweet, light and really delicious. Pour the flour into a bowl. Add the baking powder and sugar, mix and pour the oil and wine into the middle. Mix thoroughly then keep mixing the ingredients with your hands to make a smooth, elastic dough. If it is too sticky, add a little flour; add a spoonful of wine if it is too stiff. Then form a ball, cover it with kitchen film and leave to stand for about 15 minutes. Cut the dough into 6 equal parts. Form each part into two small rolls about 20 cm long, then twist them together to form a kind of braid. Fasten the ends of the braid together to make a ring. Repeat the procedure with the rest of the dough. Pour the sugar onto a plate and dip the ring biscuits in it to coat the whole of their surface. Then transfer them to a baking tray lined with greaseproof paper and bake at 180° for about 30 minutes, until the biscuits are golden brown. Remove from the oven and leave to cool. 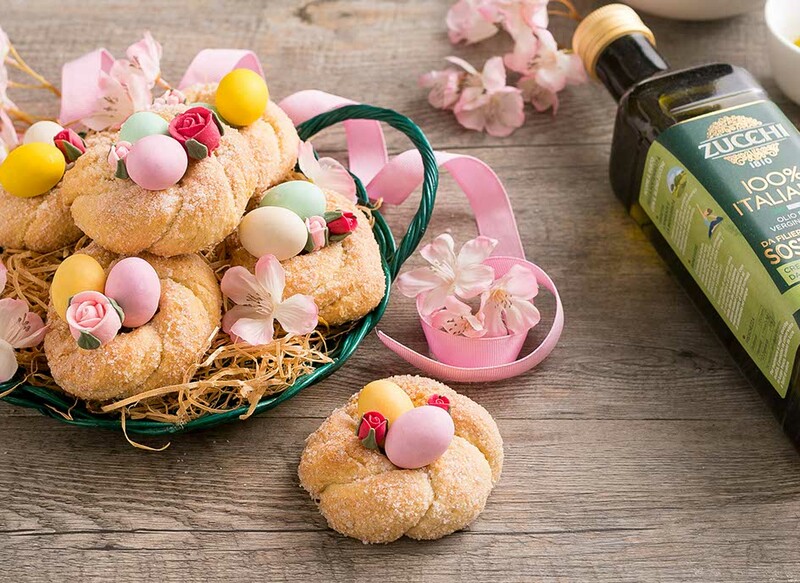 When the biscuits are cold, decorate them with miniature eggs and flowers in the middle so they look like pretty Easter nests.